This past weekend we got to participate in the PetSmart Charities National Adoption Weekend and I got to handle and bid farewell to the uber-cute Candy Girl. She was an 8 month old pup who didn’t know a stranger and was certain that everyone in the entire universe was pretty much set there to love on her. Her tail never stopped wagging and she stole many, many hearts. She ended up going home with an active family looking for young, medium sized dog who would be able to hike, jog, canoe and swim with them. I think she made herself a good match. 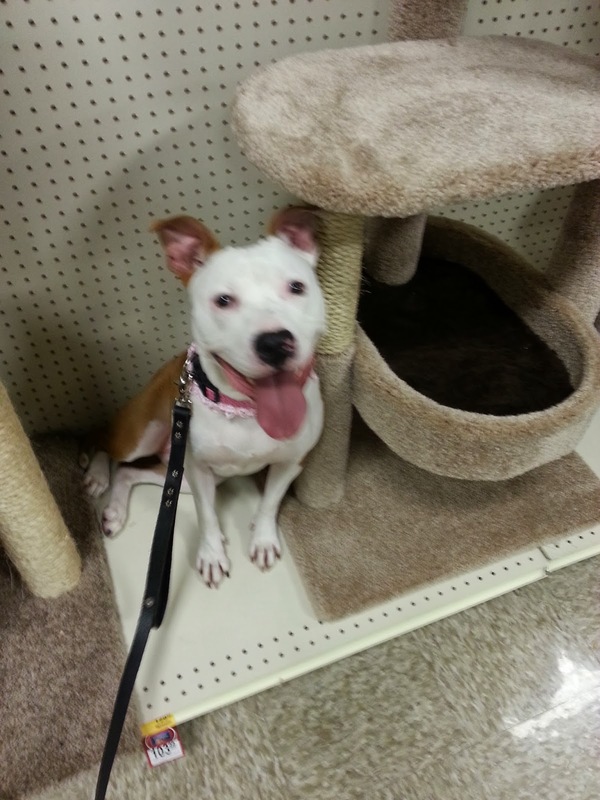 This entry was posted in adopt a pit bull, Adopt a shelter dog, Allen County SPCA. Bookmark the permalink. Such great news, glad she got a family that will appreciate her! Sugar and spice, that's a great answer. I'm so glad she found her forever home, it sounds like a good one! She's super cute! 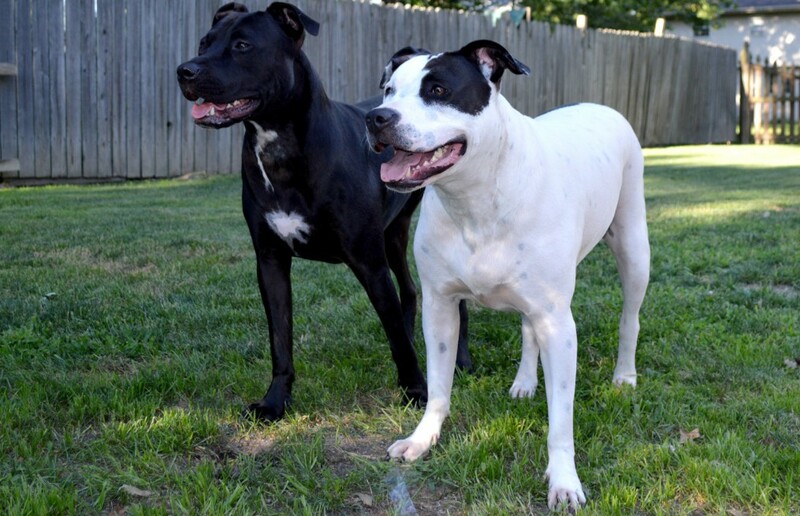 Our area has a ton of pits and pit mixes too. I think in the 2+ years I've owned Kaya and Norman, I hear less and less negative things. Yay! What a cutie!! While I think most of Erie is still behind the curve on the pibull trend, I have noticed a more positive vibe in the past 4 years (since I got Tess) — or maybe I just surround myself with those that love pitties? Sugar and spice!!! The perfect response for such a cutie!